New, Non-magnetic Common-Mode filter utilizing delay line operating at 4G～28Gbps. 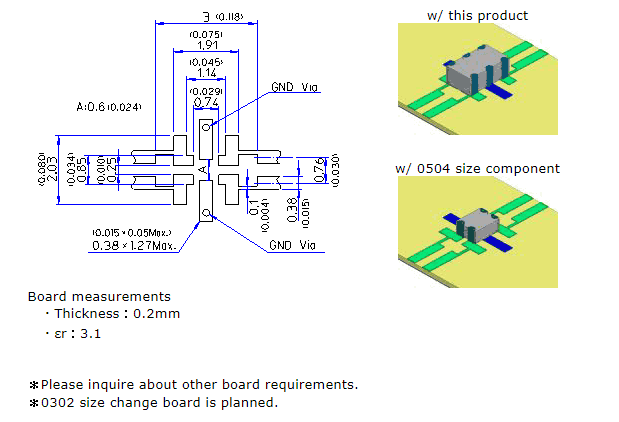 Optical transmission system with an electrical/optical conversion board and high-speed networking device for EMI measure, eye pattern improvement. This product is a 0805 size multi-layered ceramic chip-type LTCC part and is RoHS-compliant. S-parameter files (Touchstone format) and SPICE models can be provided for each component. Storage conditions are as per MSL1. These component families are not moisture-sensitive. Baking prior to reflow is not required. 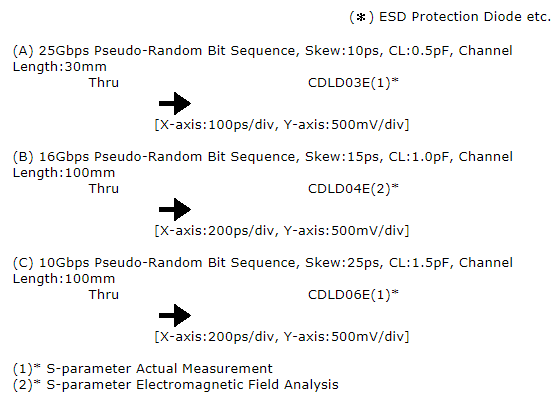 For transmission rates over 10Gbps, multipath reflection is generated from the capacitive load of IC’s ESD protection diode and pad which can cause deterioration of the eye pattern. Also, unintended unbalanced capacitive/inductive load should also be considered. Differential eye patterns connected with various capacitive/inductive loads are shown form a circuit simulation using the circuit shown below. 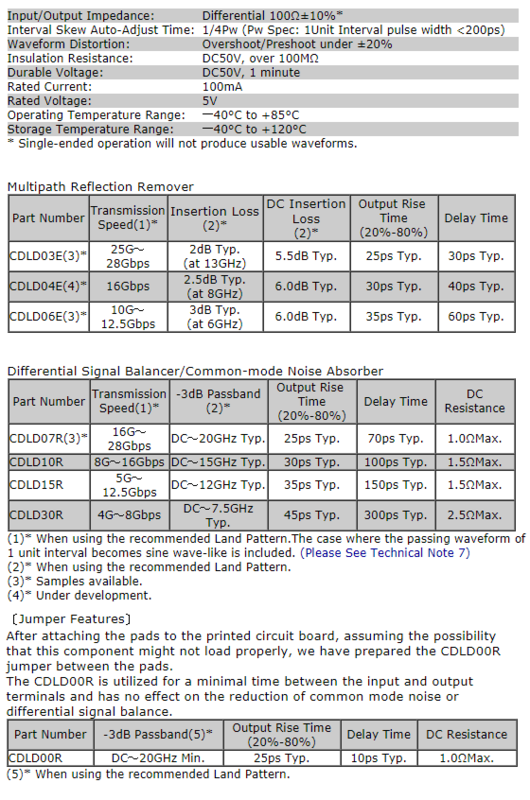 In spite of the capacitive/inductive load, it is possible to remove multipath reflection and improve a stable eye pattern with the CDLD type. 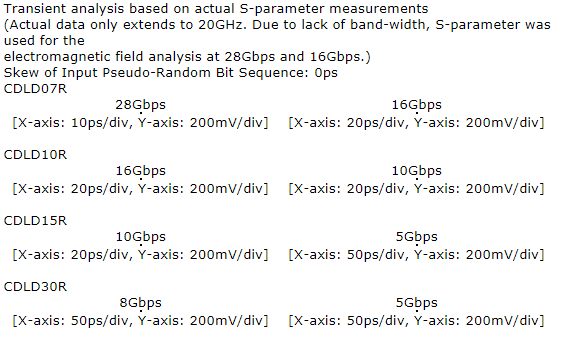 For transmission speeds in excess of 10Gbps, even a minor skew will cause common-mode noise. 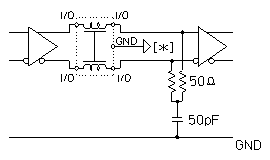 Below is the circuit used to produce the common-mode noise wave form. 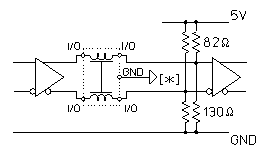 A CDLD-type is inserted directly after the IC, the GHz band common-mode noise is eliminated and transmission noise is prevented from returning to the original level. 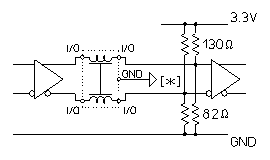 The wave form at the receiver will degrade due to skew or a connector GND discontinuity. The positive/negative differential signal wave forms of such a case are shown using the circuit below. 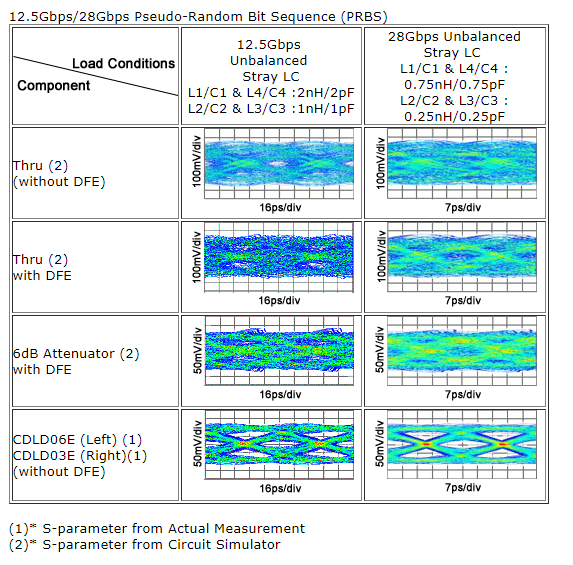 By using the CDLD with a passive internal CTLE, in addition to skew cancelation and improvement of the phase balance, it is also possible to cancel amplitude differences. 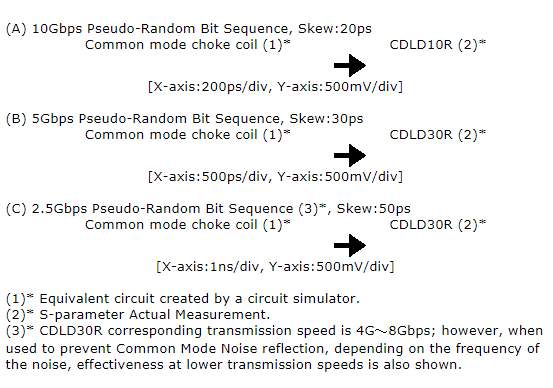 For transmission speeds under 10Gbps, Common-mode Choke Coils are available; however, the reflection from the Common-mode Noise which is blocked by the Common-mode Choke Coil is quite large, the spike on the input wave form from the reflected Common-mode Noise will be superimposed. Using a comparator to compare the input and output wave forms, this superimposed noise can be quite detrimental. 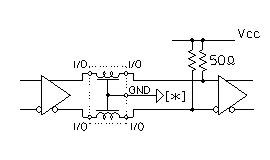 The positive/negative input wave forms of such a case are shown using the circuit below. 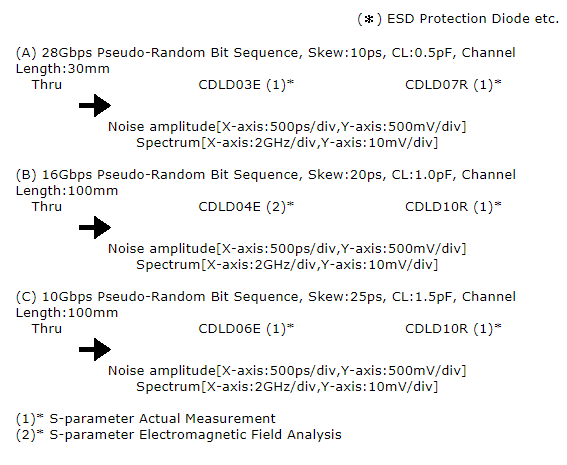 The CDLD-type’s ability to absorb the Common-mode Noise in the GHz band is quite high which prevents the superimposition of Common-mode Noise reflections on the input wave form. Using a TDR Sampling Oscilloscope, we constructed and measured the test circuits shown below, positive/Negative（In(+)／In(-)／Out(+)／Out(-)), output common-mode noise（Comm）and the output differential signal（Diff）step response wave forms are shown. The CDLD-type, which contains a delay mechanism, delays the noise from the output waveform and avoids affecting the rise/fall edge. 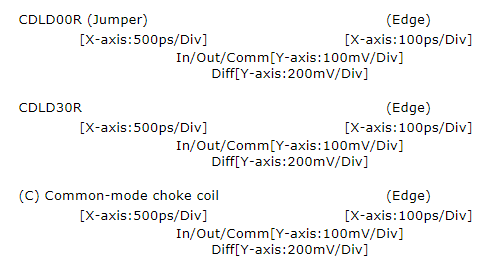 For the CDLD-type and the ideal common-mode choke coil (hereafter, ideal CMC), the frequency characteristics of common-mode impedance are calculated with a circuit simulator and the difference is verified. The equivalent circuit and the main characteristics of the ideal CMC are shown in Fig. 1. As much as possible, the －3dB passband was made wideband. 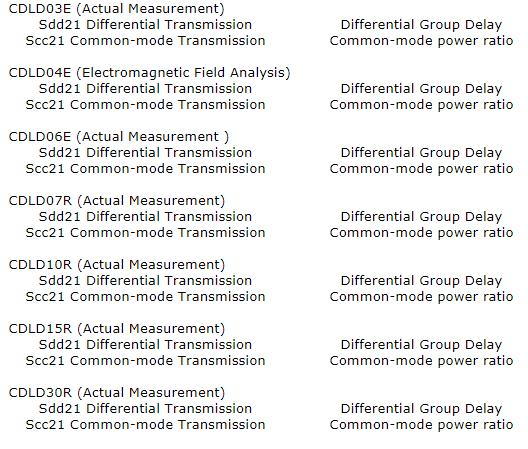 The differential frequency characteristics (Sdd21) of a differential transmission line with a 30ps skew are shown in Fig. 1. In Fig. 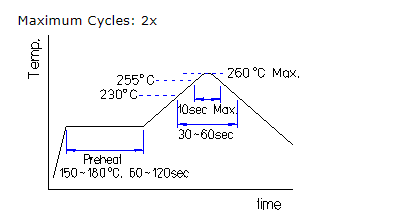 1, a differential signal is intercepted to become a complete common mode signal at 16.7GHz because the 30ps skew makes a 180° phase shift at that frequency. Transmission of the differential signal forms an attenuation pole at 16.7GHz and the －3dB passband becomes DC to 8.3GHz. Always connect the GND terminals. 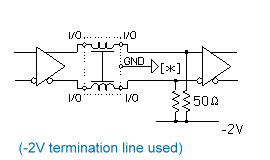 Using this product without connecting the GND could cause common mode noise rejection and delay line functions to deteriorate.Use of only one line will not yield a normal wave form and cannot be used.